Horse paintings are ruling this year with the Chinese Horse year 2014 and artists are busy making and selling art on this theme of horses. Right from Maqbool Fida Hussain, MF Hussain the horses have come to be a prominent subject to paint. While he was inspired by the Horses of Hazrat Ali , Islamic war today we see horses everywhere, just about any artist painting horses, make hay while the sun shines! Leaving this aside, lets analyze a horse painting named Thunderbolt which was recently shared for advice. The client bought the horse painting for good luck and prosperity, as the title of the work suggests, and have hung this work in the north sector and paid a fortune for this, and waiting to see some miraculous results in improved opportunities in business and wealth. The horse painting is really very good, in colors of white as against the background of dark blue , grey waters, both great feng shui enhancers for wealth. The backdrop is also showing sunrise partially with a glow, good sign for new energy. What went wrong when the person started getting many opportunities but is not happy, the family is confused as to he is getting what he wanted, feng shui is working , but showing symptoms of depression and unhappiness, irritability and has spurts of quiet moments at home. Same was observed in his office. On analyzing the horse painting Thunderbolt, the name is full of energy, thunder symbolizes terror, and strong energy , which may not be easily handled by all individuals, only those young/ old sporting and enthusiastic, focused can handle strong horse energy in life. The dawn shown in the artwork was a bit confusing as to late evening or early morning, as nothing else depicted to show morning like birds or clouds. Another important aspect in the work of art were the eyes of the horse, while he was named thunderbolt , he must have had the eyes of happiness and lots of enthusiasm fire energy, but they had a glint of sadness, anyone could say this while having a glimpse looking at the horse painting. This horse could even be running with fright and fear. The energy coming up was not such a good one , and the one looking at this was the sole earner of the family , so while some new opportunities came up he could not complete the tasks at hand on time, and thus viewing the work of horse for a few months brought sudden changes in the environment and affected the mind of the viewers. They have removed the work from their living room and are hoping for the best. It is really very sad how things sometimes don't work out as required. 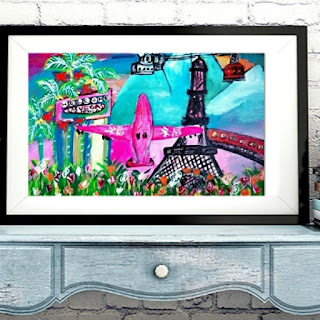 Surround yourself with symbols of hope, love and happiness, buy art that you love and are willing to look at for years and the art that heals. 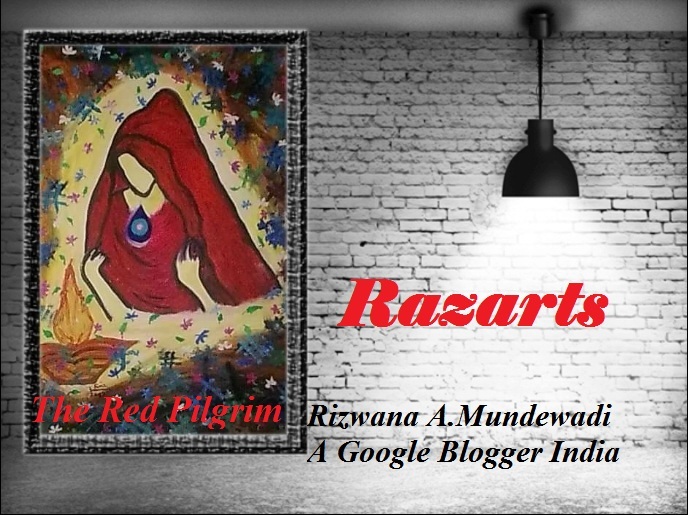 Have a Great Life, All the Best from Rizwana!